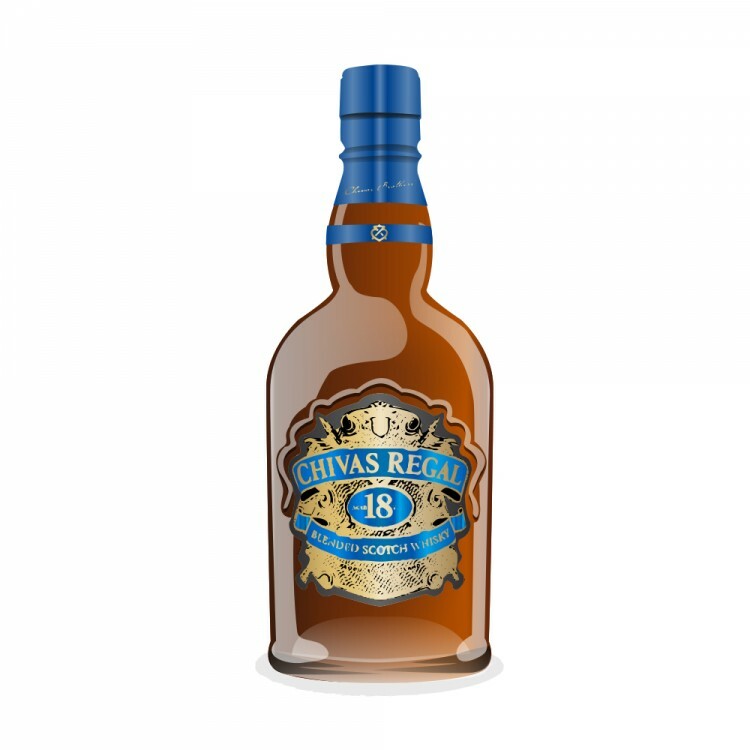 Chivas Regal traces its name back to the House of Chivas, a large mansion that was built at Shivas in Aberdeenshire in 1640; the name is derived from the Gaelic ‘seamhas’, meaning ‘narrow place’. In 1801 Chivas Brothers opened a grocery store in Aberdeen. The store sold luxury foodstuffs such as coffee, exotic spices, French brandies and Caribbean rums to a wealthy clientele, and in 1843 Chivas Brothers were granted a Royal Warrant to supply goods to Queen Victoria. 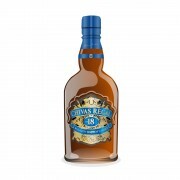 During the 1850s James Chivas started to blend whiskies to create a smooth whisky as it was requested by his customers. As a result he launched the company’s first blended Scotch whisky, Royal Glen Dee, followed in the 1860s by a second blended Scotch whisky, Royal Strathythan. In 1909, Chivas Brothers decided to create its most aged blended Scotch whisky to be exported to the US where the booming economy after the turn of the century was fueling demand for luxury goods; this whisky was named Chivas Regal. In 1950, Chivas Brothers acquired Strathisla Distillery that produces the Strathisla single malt used in the Chivas Regal blend. In 1997, the Chivas Regal range was expanded with the launch of Chivas Regal 18 year old, and in 2007 with the launch of Chivas Regal 25. The nose is lush and fruity. Vanilla and orange peel are at the forefront, followed by honey, a delightful maltiness and a touch of ginger. The palate is light-bodied and just a little bit dry. Honey and ginger are back, together with vanilla fudge and hints of dark chocolate. The finish is of medium length and fruity. Oranges, vanilla and honey round this one off. This is a fruity and well balanced blend, and it is a step forward compared to the 12-year old. While I quite liked the nose, the palate was too watery for my taste. This one would definitely benefit from a higher ABV.